Esri's technology has always been grounded in science. Dawn Wright, Esri chief scientist, summarized the company's many-faceted relationship with science. "Science at Esri continues to evolve on many exciting fronts as we focus on supporting both basic and applied science while also recognizing that there are many major themes of compelling interest to society that will drive scientific research for the next several decades." 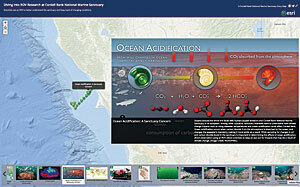 She noted that Esri views science not only as a way to understand how the Earth works but also to understand how the Earth should look through the application of geodesign principles and to understand how we should look at the Earth through the lens of datasets that are developed, documented, analyzed, and modeled. Esri has a long history of creating geospatial tools that are particularly helpful to scientists who are expanding fundamental understanding in many fields of scientific study. 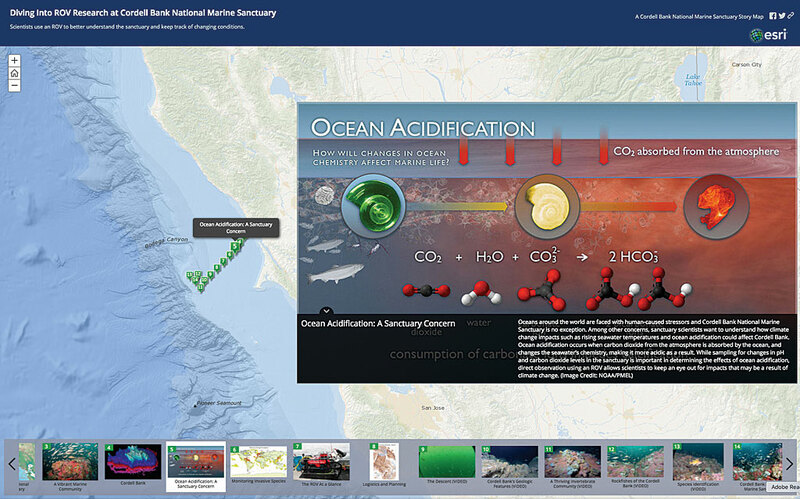 Ocean science, conservation biology, ecology, sustainability, climate science, forestry, agriculture science, geology and geophysics, hydrology, and geographic information science are areas of scientific inquiry that Esri has extensively supported through the development of specific tools. 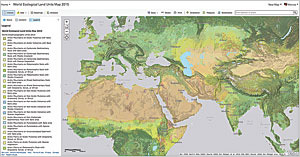 Beyond enhancing basic scientific research, Esri's GIS tools promote fact-based decision-making and enable effective stewardship of natural resources, protection of life and property, and promotion of economic vitality. Access to high-quality, accurate, and current data is essential to scientific work. 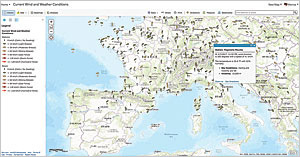 In addition to supplying a comprehensive platform for creating, managing, integrating, modeling, and sharing users' data, Esri has been continually expanding the data it furnishes to users from the Digital Chart of the World (DCW), created in 1992, to today's Living Atlas of the World. As part of Esri's constant efforts to improve the scope, currency, and usefulness of the data in the Living Atlas of the World, a new multiyear partnership with DigitalGlobe was announced at the 2016 Esri User Conference. DigitalGlobe provides high-resolution imagery to update large parts of the World Imagery basemap. Through this partnership, Esri has access to DigitalGlobe's flagship basemap products to provide submeter resolution imagery for the United States, western Europe, Australia, and several hundred large metropolitan areas and 1-meter imagery for other parts of the world and will update this imagery periodically to improve the image quality and currency. During the first year of this partnership, Esri and DigitalGlobe will update approximately 90 million square kilometers of imagery in the World Imagery map. ArcGIS tools support standard scientific processes and integrate well with other platforms and programs thanks to Esri's longstanding support of standards and interoperability. 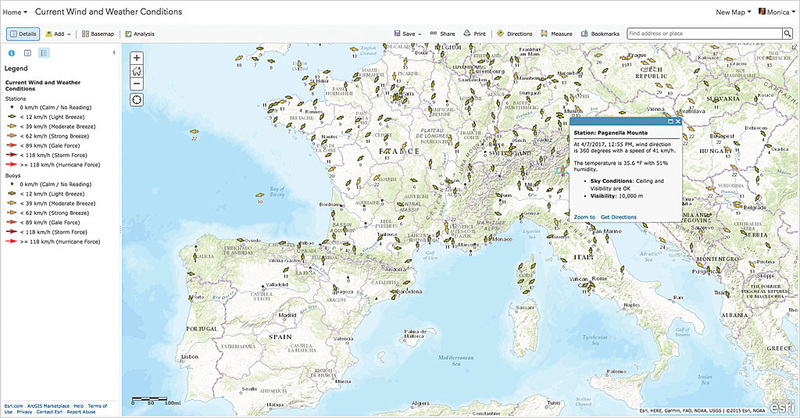 ISO TC 211, Open Geospatial Consortium (OGC), and more than 100 other geospatial standards are supported by the ArcGIS platform, resulting in direct read, import, and export capabilities for more than 300 data and service formats. The ArcGIS Runtime SDKs and APIs that let developers build and deploy native applications to popular platforms and devices are all open. Beyond its work in developing the platform, tools, and data to support scientific work, Esri itself has sought to do good science because science underpins the company's work. To this end, Esri works with scientists from many academic, government, and nongovernmental organizations. Recently it has closely collaborated on two global projects that provided a research framework for land and ocean. Esri's statistical design teams will be consulting with Distinguished Professor Noel Cressie and his research group at the Centre for Environmental Informatics, University of Wollongong, Australia, on a range of development projects in areas including geostatistics, space-time pattern mining, R statistical software integration, and statistical clustering algorithms to optimize Esri ecophysiographic, ecological marine, and world population layers. 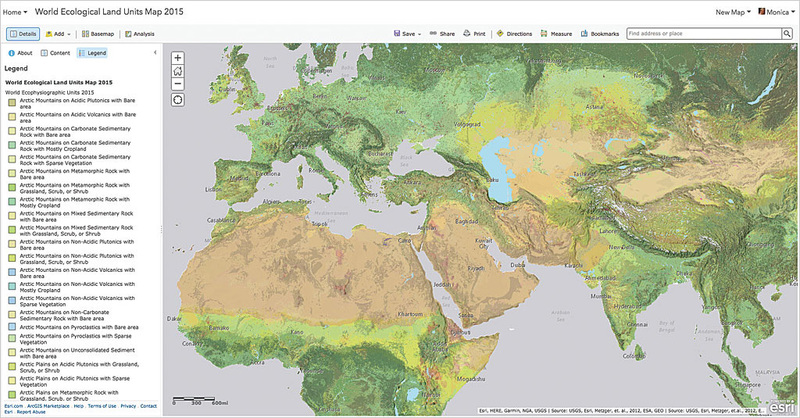 Working with the NCAR's GIS Program, Esri is helping develop web services to add climate data in netCDF format to the Living Atlas of the World to support the NCAR Community Earth System Model (CESM). NCAR is also working with Esri on LearnGIS modules. In 2016—after investing more than $40 million—Dangermond pledged continued participation in ConnectED through 2019, offered ArcGIS Online for free to 300 primary and secondary schools and vocational institutions in 10 European Union member states, and launched ConnectED programs for schools in Australia and New Zealand. Esri supports the American Association of Geographers' efforts to recruit GeoMentors and pair them with schools and teachers around the country. 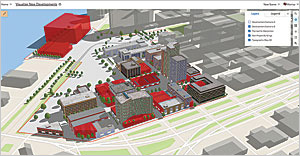 Along with corporate support for STEM education, Esri products, such as Collector for ArcGIS and Survey123 for ArcGIS, enable citizen science projects. 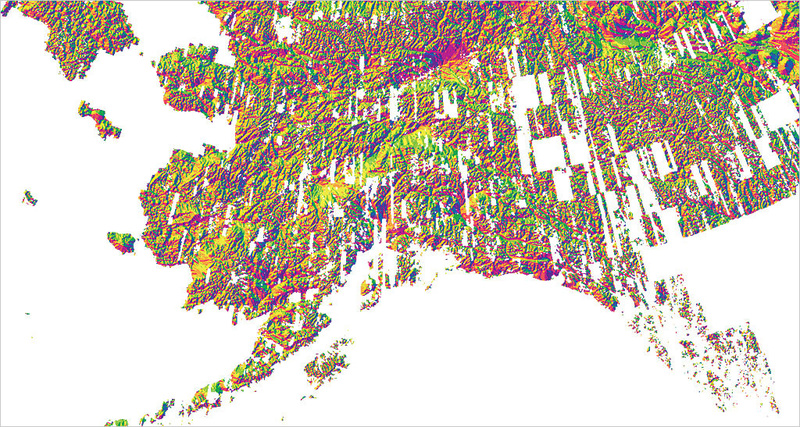 Esri is committed to continually advancing the underlying science of GIS, improving how it is applied through Esri GIS technology, and supporting scientists who use this technology to understand and solve the world's most important problems.